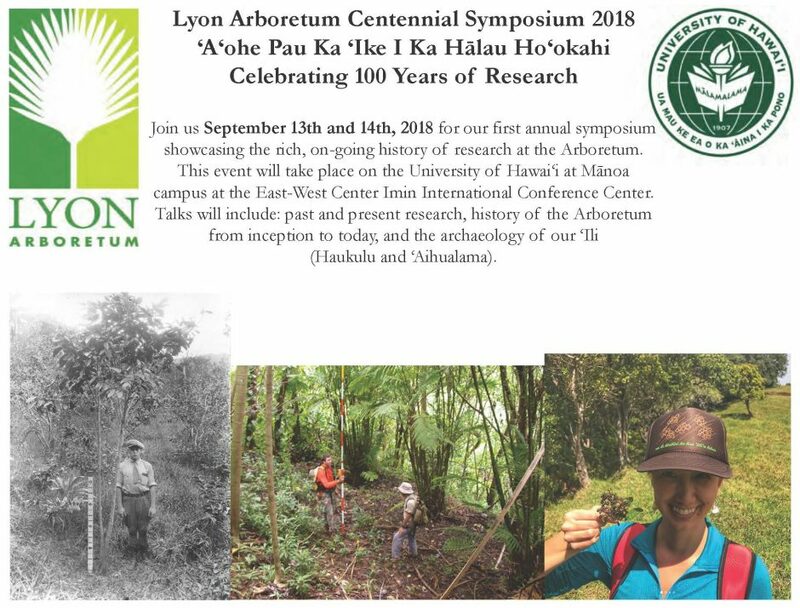 The first day of the symposium will feature speakers sharing their perspectives on historical, educational, and cultural aspects of Lyon Arboretum, followed by a panel of current arboretum staff to discuss both our history and our ongoing efforts to inspire and cultivate conservation of plant biodiversity. -- *A list of speakers, topics, and times will be posted shortly. Please check back soon for more details. The second day of the symposium will feature speakers sharing the results of research they have conducted on Lyon Arboretum's grounds or in collaboration with Lyon's conservation laboratories, followed by a special media presentation and a panel of experts to discuss Lyon's local and global role in its second centennial. This conference is being organized and hosted by Lyon Arboretum to the public FREE of charge, however registration is required.